The section of Vermont's Long Trail from Route 9 over Glastenbury Mountain toward Stratton is New England outdoors at its finest. 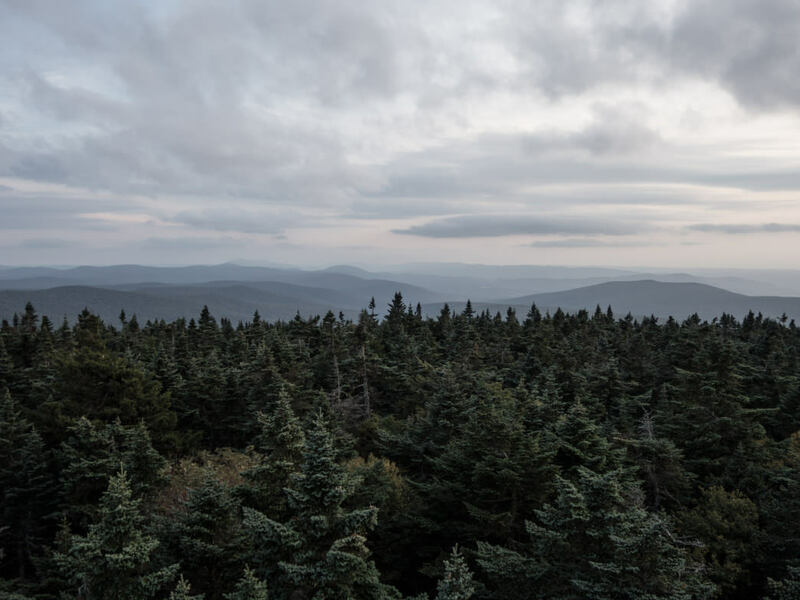 Featuring gentle climbing over a series of small summits through open hardwoods, a fire tower reaching above the treetops with sweeping 360-degree views, winding trails through rock-strewn hillsides, and comfortable wooden shelters shared in the company of ragged thru-hikers, it's a fantastic backcountry experience. Which is why I was glad I didn’t hear about the disappearances until I got home. 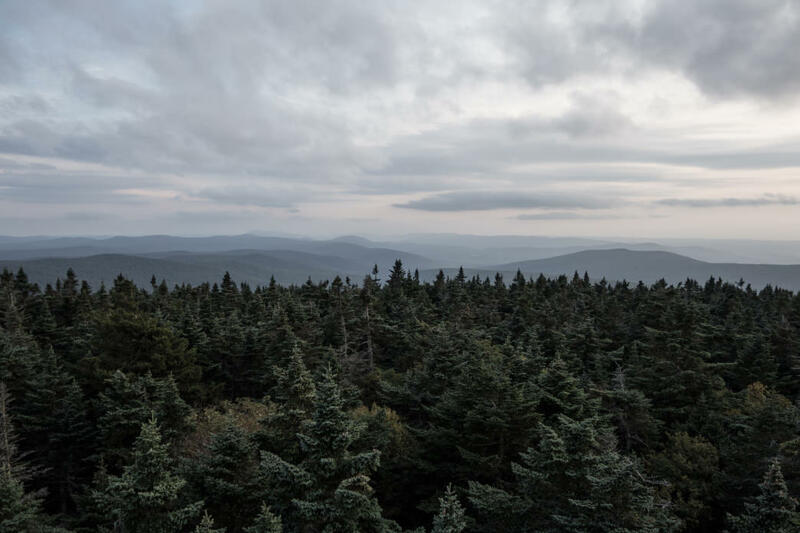 It was during a hike up Stratton Mountain in 1909, just to the north of this spot, where James P. Taylor conceived America’s first long-distance hiking route, Vermont’s Long Trail. A few years later, when Benton MacKaye hiked Stratton to help build the Long Trail, he was stuck with the desire to see a trail traversing the entire Appalachian Chain. The rest, as they say, is history. Today, both the Long Trail and the Appalachian Trail share this section of well-worn dirt as it climbs and descends slowly over 3,747-foot Glastenbury Mountain, and it’s an area just as popular with day hikers and weekenders as it is with end-to-enders.... Just as it was back in 1946 when a Bennington College sophomore, 18-year-old Paula Welden, left campus to hike a section of the Long Trail, north from Route 9 toward Glastenbury. Leaving school in the afternoon of December 1, Welden was prepared for no more than a few hours' hike—a leisurely solo walk after a day of working in the campus dining hall, on a trail she had yet to personally explore. After hitchhiking to the trailhead between Bennington and Woodford Hollow and starting north, she passed a group finishing their hike, asked them a few questions, and continued on her way. But when Welden didn’t return to campus the following day, a week's long search was launched that would close the college for several days, involve hundreds of family members, students, police, and even the National Guard, and even led to the creation of Vermont’s State Police. After nearly a month of searching the Long Trail all the way to Glastenbury Mountain, no trace of Welden’s body, her bright red coat or other clothing, or any other evidence was ever found, and the search was called off. To this day, no evidence of her whereabouts are known, making some locals wary of even wearing red on that section of the trail. Paula Welden’s disappearance wasn’t the local community’s—nor the trail’s—first taste of mystery. The area surrounding Glastenbury Mountain and the Long Trail as a whole is no stranger to the unusual. During the 1800's, the Town of Glastenbury, which encompasses the mountain and wilderness region, was a secluded but booming lumber and mining town. However, by the late 1880's, the mountainsides had been largely stripped of trees, and the industry began to fail. 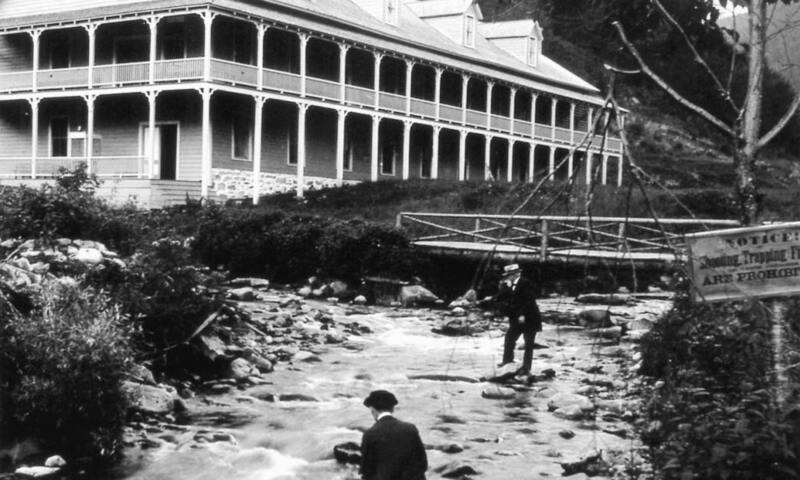 Railroads that were built in a last-ditch effort to turn the town into a tourist hotspot were washed away by flooding, and the population of the town dwindled to single-digits. In 1937, the State Legislature unincorporated the town and as of 2000, it only had 16 residents comprised of four families. Local legend says even the local Native Americans regarded the mountain as cursed. Throughout its history, “wild man” sightings, mysterious murders, and an eight-foot hairy monster all made appearances in local legend and folklore. By the time the Long Trail was being constructed, it was a well-known fact among trail builders that the route would be slicing a path through a patch of wilderness full of question marks. By the time Paula Welden went missing, the abandoned town and rumors of 8-foot hairy men were nearly forgotten, only to be replaced by another more ominous pattern. Between the years of 1945 and 1950, no less than five people went missing in the area. In 1945, mountain guide named Middie Rivers took a group of four hunters up the Long Trail. Familiar with the area, Rivers pushed ahead of his group as they returned to their camp, but hadn’t arrived by the time the rest of his group had. Confident in his abilities, officials worried little about Rivers, convinced that he would return on his own before long. But after nearly a month of searching, there was still no trace of the guide, spare a single unspent rifle cartridge in a stream. A year later, Paula Welden's case became the most famous of the five. And then following that, exactly three years to the day after Welden's disappearance, a military veteran by the name of James Tedford vanished—seemingly from thin air—while taking a bus back to Bennington after a trip to see relatives in St. Albans. Eyewitness accounts at the time suggested that they never saw him get off at a stop, and that all of his belongings were still on the luggage racks by the time the bus reached its final terminus in Bennington, and yet Tedford himself was nowhere to be found. A year later, in 1950, 8-year-old Paul Jephsen disappeared from his family’s pickup truck in the area, while his mother left him alone for an hour to feed some pigs. Wearing a red coat like Welden, no sign of Jephsen was ever found. Finally, just 16 days after Jephsen’s disappearance, 53-year-old Frieda Langer went missing while hiking near the Long Trail. Experienced and familiar with the area, Lander headed only a half-mile back to camp alone to change, telling her trail mates that she would catch up to them quickly. When she never made it back to camp, an additional search party was quickly launched. By this time, authorities were becoming unnerved by yet another disappearance, and even with 300 searchers, they were unable to locate her until more than six months later, when her body was found in an area that was determined to have been searched extensively months earlier. After such a long time in the woods, no cause of death could be determined. Luckily for hikers, Jephsen’s was the final unresolved disappearance to happen in the woods surrounding Glastenbury Mountain. And luckily for me, I didn’t have to know about any of them when I first hiked to the summit. In 1992, a local author coined the term “Bennington Triangle” to capture the eerie pattern of mysteries that occurred in the area. 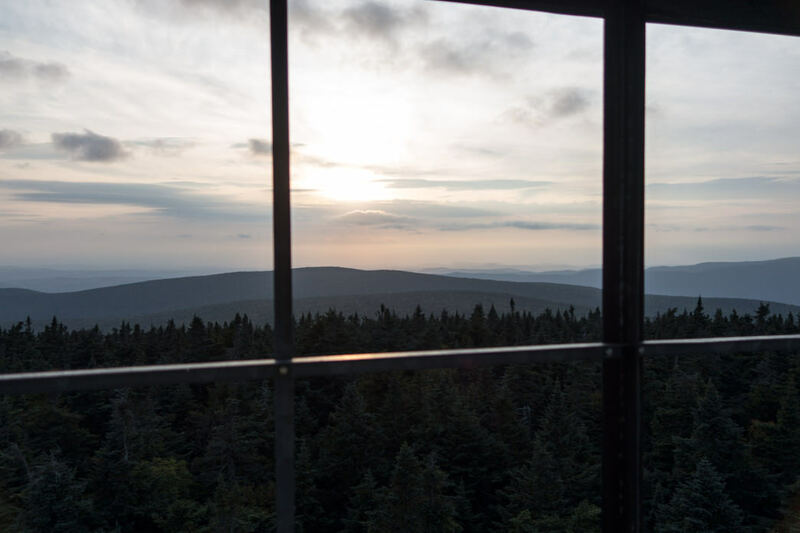 For me, had I known about such a pattern as I sat in the cab of the abandoned Glastenbury fire tower, overlooking darkening, unbroken evergreens, the thought of this may have been difficult to suppress. Say what you will about strange happenings, the paranormal, and the like, but one thing's for sure: when you're alone in the woods, especially in the deep, dark woods of Vermont, with only your thoughts, and then those thoughts suddenly shift to eerie tales of disappearances in the area and to mysteries and ghosts, and the fear sets in, it's difficult to adopt a more rational outlook.